Local residents informed the border guards about unknown persons appearance in the border area. The soldiers of the BD “Velykyi Bereznyi” immediately started in that direction with the dogs. The border guards detained a foreigner who could not provide any documents on the outskirts of the village Zabrid, Velykyi Bereznyi district. However, the man introduced himself as a citizen of Morocco. After conducting the necessary procedural actions, the illegal migrant was taken to the border unit. The foreigner will be brought to administrative responsibility under Part 1 Article 204-1 AICU “Illegal cross or attempt to cross illegally the state border of Ukraine”. This entry was posted in Translated Media-News from Ukraine and tagged border, illegal, migrants, Morocco on June 15, 2018 by oksana. The Azerbaijani citizen, who tried twice to cross the state border in one day, was detained by the border guards of the Chernihiv Detachment. The violator was noticed by a district inspector of Border Guard Service in the direction of Ukrainian-Russian border. The man had no any documents and introduced himself to be the citizen of Azerbaijan. Subsequently it was established that this citizen exceeded the term of his stay in Ukraine. In the morning of the same day he was not allowed to cross the border at the checkpoint “Novi Yarylovychi”. The Protocols on violation of the state border and border regime were drawn up as to the offender. Currently, the foreigner is kept in the Temporary Detention Facility. Filtration measures are continued. This entry was posted in Translated Media-News from Ukraine and tagged Azerbaijan, border, illegal, migrants, Ukraine on June 14, 2018 by oksana. 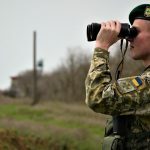 The border guards of Podil Detachment in the area of BD “Pavlivka” detained the citizen of Moldova few meters from the state border. The citizen of the neighboring country tried to cross illegally the border beyond checkpoint. The operative staff of the Southern Regional department received information about possible border passing in the area of BD “Pavlivka”. 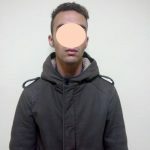 The border guards immediately send the detail in the direction of possible motion of the trespasser and apprehended him. Later on, the Joint Inter-Agency Group consisting of the border guards, operational staff of the Southern Regional Department, the employees National Police of Ukraine in Odessa region under the procedural leadership of the Rozdilyansk Municpal Prosecutor’s office in the frames procedural actions the car “VAZ-2101” driven by the Ukrainian was stopped, who may have been used for the delivery of the trespasser. This entry was posted in Translated Media-News from Ukraine and tagged border, cross, illegal, migrants, Ukraine on June 14, 2018 by oksana.